Most of us want to do everything we can to protect our property and what belongs to us. CCTV is a good way of helping us do that. If you decide to get closed-circuit television cameras installed, it stands to reason you’d want to locate the best outdoor CCTV for home situations. Some people might be happy with one or two dummy cameras, but most people know these don’t fool most would-be burglars. So, how can you find something that will work in your situation? There are some points worth thinking about here. For example, how light is it around your property at night? If you live in a city, there is a big chance it never really feels dark. Street lighting and lights from nearby properties can shed a lot of light over the areas you wish to cover. This means night vision would not be as essential a feature as it would be if you lived in the middle of the countryside. Another key point to bear in mind is the size of your property. Do you have a large back garden or plot to cover, or just a small area? The answer to this question may well influence the type of camera you decide to buy. For instance, a fixed camera that cannot be moved once installed might be all that is required for a small garden. 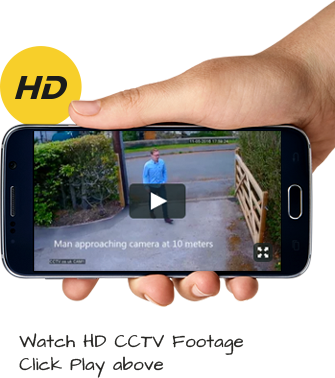 However, if you have a large plot you may well benefit from the installation of cameras you can move around remotely. Controlling their position and view from your smartphone is a good way to ensure the CCTV cameras are working well for you. It can also reduce the number of cameras required. Consider also how well protected the cameras are from the elements. Not all outdoor cameras are created equal in this way, much as they’re not all the same in many other ways. If your camera is going to be mounted in a very exposed spot, make sure it can withstand all kinds of weather throughout the year. In short, the best outdoor CCTV for home purposes will be the cameras that are built to provide excellent service in these situations. Buying the best you can afford and having them installed by pros should ensure your home is as well protected as you would want it to be, year in, year out.